A new NIST handbook offers advice for law enforcement agencies on the planning, design, construction, and relocation of forensic science laboratories. A detailed how-to guide, the document not only outlines the process of creating a new crime lab from start to finish, but also provides guidance on integrating the latest scientific developments, efficiency improvements, and sustainability practices. The handbook is intended for laboratory directors, architects, designers, builders, and others who have an interest in planning and constructing the 21st-century crime lab. 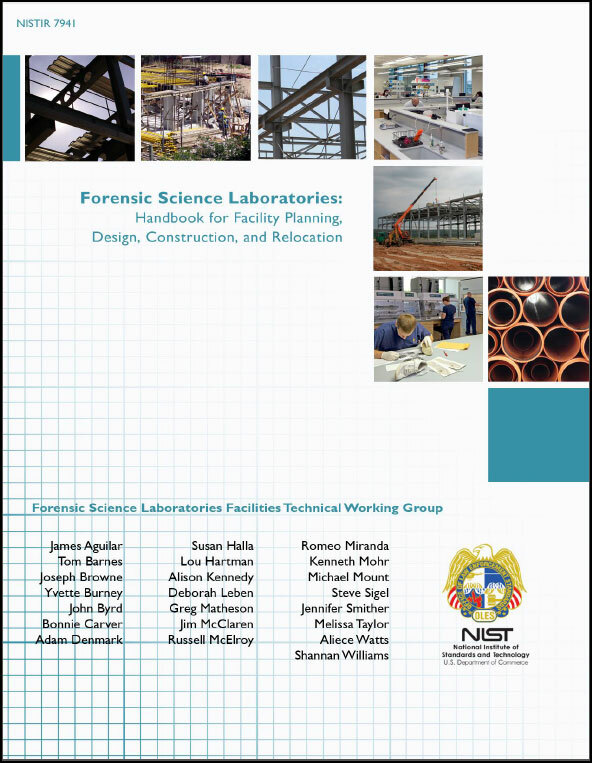 The new Forensic Science Laboratories: Handbook for Facilities Planning, Design, Construction, and Relocation is available as a pdf file at http://www.nist.gov/manuscript-publication-search.cfm?pub_id=913987. Why is a new Forensic Science Laboratory Handbook Needed? NIST wrote the original handbook on planning and building forensic laboratories. That 71-page document was published by the National Institute of Justice (NIJ) in April 1998 and made available through the NIJ website where it has been consistently popular, receiving frequent hits. However, over the past 15 years developments in forensic science as well as in sustainable building practices have outpaced the original handbook. In addition, criminal investigators are demanding more forensic science services than ever before. The increased demand is due partly to changes in criminal activity, particularly the growth of cyber crimes and terrorist acts. Rapid advances in DNA technology and the popularity of forensic science in television crime dramas also contribute to the demand for forensic science services. In order for laboratory directors to meet these demands, they will require specific and clear guidance on the steps involved in creating or renovating forensic science facilities. What has NIST Done to Address the Need? NIST convened the Forensic Science Laboratories Facilities Technical Working Group to support the preparation of the new handbook. The group includes 16 professionals with expertise in laboratory management, planning, architecture and engineering. Members met in November 2011 to begin an update of the old handbook. The National Institute of Justice provided funding to produce the new handbook. The new 98-page Forensic Science Laboratories: Handbook for Facilities Planning, Design, Construction, and Relocation will help facility planners design efficient, flexible and functional forensic labs which can evolve with mission requirements.